That decent housing and a suitable living environment are of primary importance in the achievement of health, happiness, and security. That senior citizens are individuals who should be treated with the respect and dignity due their years and, therefore, should have feelings of usefulness, importance and individuality. That the community needs the skills, experience and wisdom of people of age. 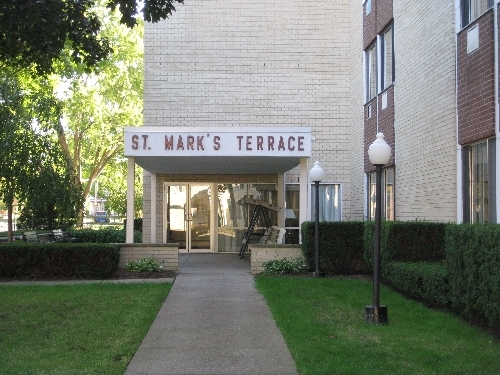 That St. Mark's Terrace, being a not-for-profit organization sponsored by St. Mark's Episcopal Church, seeks to provide well maintained, convenient housing facilities at the lowest possible costs to the residents. To do all that is reasonably within our power to provide each of our residents, regardless of age, creed, color or national origin, a renewed hope, a new way of life and creative living.